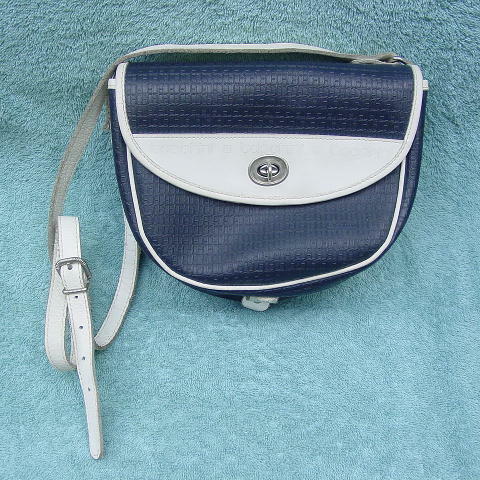 This dark blue faux leather purse has a white trim and a 43" long adjustable white leather shoulder strap. 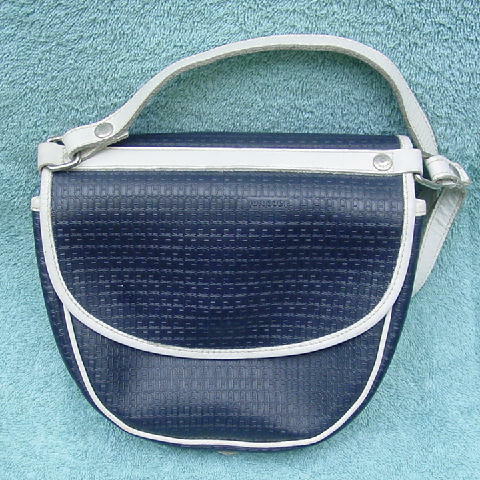 The purse has 2 separate sides attached together at the bottom by a leather strap. One side has an interior compartment with a back zippered pocket and a small dark brass color metal tag with Tacchini, the logo, and made in Italy etched on it. The other side just has the compartment and a twist-turn silver-tone closure. 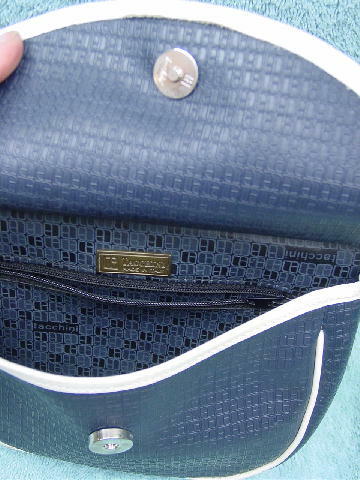 Above the closure is Tacchini etched 3 times and in between is the logo etched 2 times. The exterior blue surface and the interior of the two flaps has row after row of elevated Tacchini logos. The smooth linings have the same rows of logos, with Tacchini spelled out occasionally. Her first initial is on the inner white trim of the twist closure.